The Moultrie Middle School choir changed “don we now our gay apparel” to “bright apparel.” Is the word gay so evil that we have to remove it altogether? I’m offended they used the word “don” with its obvious pro-mafia connotation. 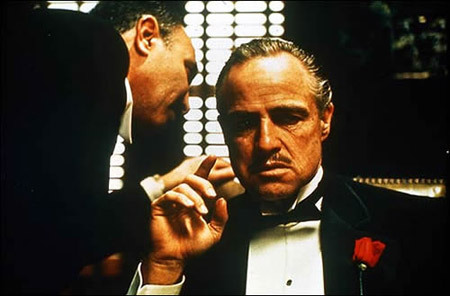 I'm gonna troll an ancient yuletide carol he can't refuse." I’m sure they don’t use the word “don” every day, but they didn’t change that word. But by eliminating the word “gay,” they’ve sent a clear message that there’s something wrong with the word. 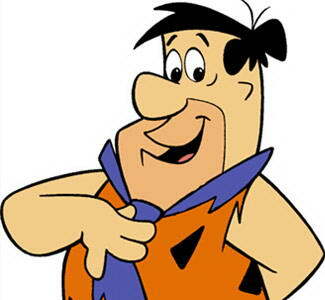 Let’s call the Flintstones. Maybe their theme song should say “fun old time” instead? Reknown for having a gay old time. Oh, Moultrie Middle School, you missed a fine, teachable moment. Can we all agree that “gay apparel” refers to clothing and accessories that are merry in mood, brilliant in color, and happy-making? Or do you seriously think that the writer of the lyrics to “Deck The Halls,” poet John Ceiriog Hughes was referring exclusively to the clothing and accessories of homosexuals? For the love of gay apparel, people. Can we also agree that part of education is learning that words have multiple meanings? That words need to be viewed in the context of intent and even history? I mean, do you “troll the ancient yuletide carol?” Other than with Fred Flintstone, that is. Pray, please invite me when you do. Look, I grew up in a generation where the word “gay” was a synonym for stupid, lame, and basically anything anyone didn’t like. Know what? We still sang the original words to “Deck The Halls” for all of my school recitals. Now. Did some kids giggle during rehearsals? Yes. They also giggled whenever the words gas, chest, bathroom, or but(t) (the conjunction and the body part) were uttered. (Note: this is not a complete list.) Why? Because kids are even more nervous than we are about their bodies, its functions and how and when it will grow and change. Oh, and they’re silly. They’re kids. We prove ourselves as adults when we push through our own fears, our own uncomfortable, oogey (that’s a clinical term) feelings to engage in honest, thoughtful dialogue with children. To answer their very real questions, assuage their fears, and hear them. Let me repeat that: hear them. Cue the well-executed teachable moment. Take two minutes to watch the video below of a lesbian couple who so eloquently and graciously confront their mayor, Joyce Daniels, who recently posted anti-gay sentiments on her Facebook page. With warmth, humor and intelligence, the couple introduces their two daughters to the mayor, shares their drawings with her, and in all ways, takes the high road to understanding and acceptance. Rather than lashing out in anger. Rather than ignoring the post, or the changed lyrics. We each, we all, have the opportunity to share our experiences with our children, our neighbors, our fellow parents, and our community. We have the opportunity to engage each other in meaningful, respectful dialogue. To show our children, by example, that we all have the power to move through the oogiest of moments with kindness and grace. And, that we are all free to don our apparel, gay or otherwise. Thanks, friend! Here’s to true holiday cheer. Great post! I needed that laugh! Thanks! Glad I could provide a laugh. So in “We Three Kings of Orient Are” when they say “Star with Royal Beauty Bright”, do we think that was once “Star of Royal Beaty GAY” and they changed it ? Also, I happened to notice the word “GAY” in several of the traditional Christmas Carols, but after reviewing about 30 songs, I can’t seem to find the word “straight”. What does that mean ? This is a doctoral dissertation just waiting to be written! Brilliant! Hell, we even giggled when someone said “duty.” Kids will be kids. Thanks! Ha! Yes, “duty” and “pianist” are now included on the list of giggle-inducing words. I would imagine that the mayor’s comments reflect her true feelings…the family that spoke I believe are truly optimistic if they think that she’ll support anything other than her narrow view of the world..but that’s just my read of the situation. 1 shining with much light bright sunshine. 2 (of a colour) strong and bold a bright red car. 3 cheerful a bright smile. (often withup) to make or become bright or brighter The new wallpaper brightens up the room. Seems, whether “bright”or “gay,” under any variation of meaning, if you had to choose which one represented you? You’re right. Thanks, Jenny, for this terrific piece! I hope this gets wide circulation. Jenny – you do not know me, but thank you for your comments. As a wordmeister I detest the way in which people restrained by fear and ignorance engender fear and ignorance by messing with the language. Leave the song alone. It is joyful as written and evokes joy and celebration – yes, gayness of heart and life. James, thanks so much for your thoughts. Joy and celebration indeed! Jenny, I just stumbled across this picture and it so totally goes with this awesome post! http://daniel.summershome.org/wp-content/uploads/2008/12/christmas_lolcat.jpg Christmas Cat in “Gay” Apparel. Good laughter for all! Awesome! Thanks for the laugh, Cheryl.